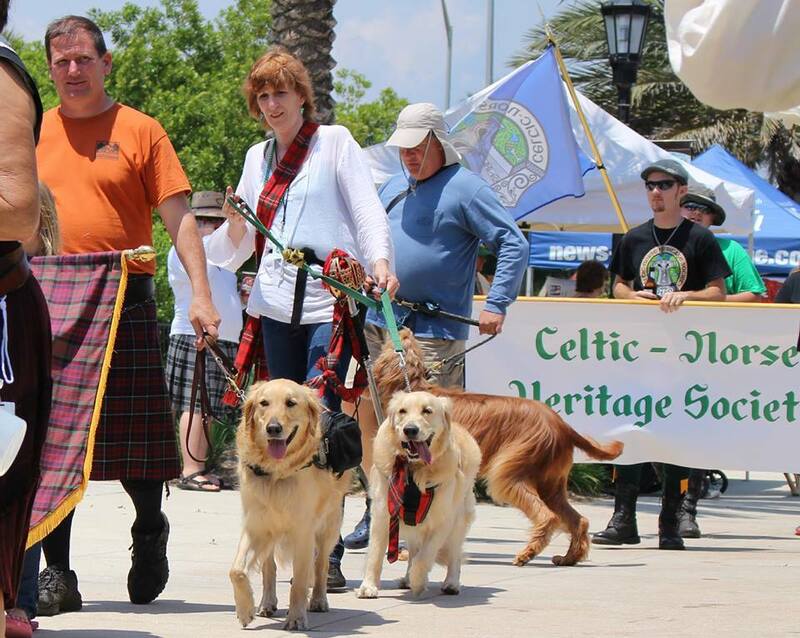 2020 Ormond Beach Florida Celtic Festival - April 18th & 19th, 2020 - Rockefeller Gardens - Dog Parade on Sunday, April 19th! approximately 2:00 on Sunday, April 19th! Bring your pooch - dress him/her up in some fancy duds and bring a contribution (food or cash) for Hush Puppy Haven - and then let your pooch parade you around the clan area!! - more info below! Do you have a Scottie, Wolfhound, Westie, or Irish setter - or maybe just your favorite mutt who likes to play dress up? 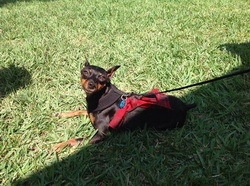 Bring them to the Ormond Beach Celtic Festival on Sunday, April 19th for the 2:00pm (approximately, subject to slight changes) in the Clan Area of Rockefeller Gardens for a chance to parade with similarly attired pooches and win a prize for the bestdressed pup, finest hound, or cutest Celtic dog. 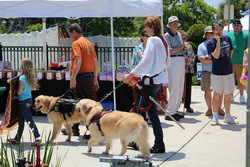 The dog parade will take place in the Clan Area in front of the Casements, shortly after the "Kirkin' of the Tartans." 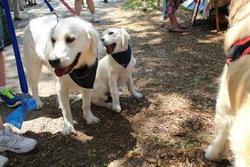 The dog parade will benefit Hush Puppy Haven - please bring dog food, supplies,or CASH donations as your pup's "entry fee" for the parade - CASH is always accepted in lieu of a food donation and can actually "go further" due to the buying partnerships of the organizations such that they can "stretch" cash contributions. Dogs must be leashed. 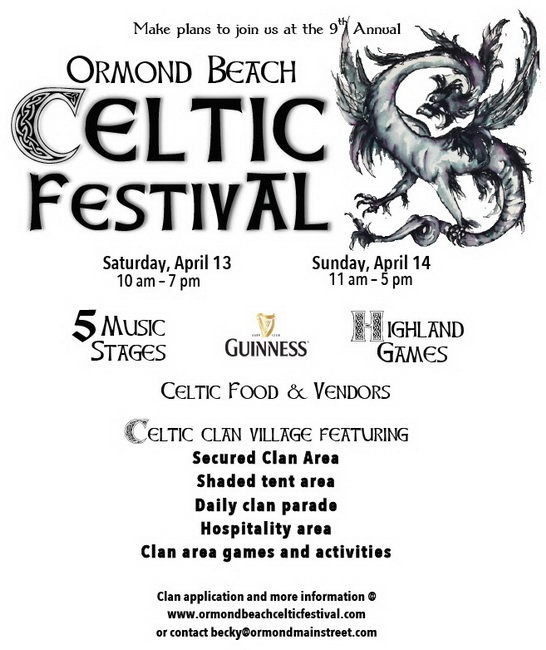 www.ormondbeachcelticfestival.com for more information and schedules as they become available. Download this flyer/application and send to your 4-legged friends or their owners! - Click Here!